Here at Luxe Models we love statement jewellery – throw on a bedazzled bracelet, a bold necklace or a gem-studded ring and you can glam up even the drabbest of wardrobe choices. But statement necklaces are particularly hard to pull off. If you get them right you’ll look amazing, but if you get them wrong you could throw off your entire outfit. So many people are afraid of wearing statement necklaces, but with Luxe Models on your side you don’t have to be. 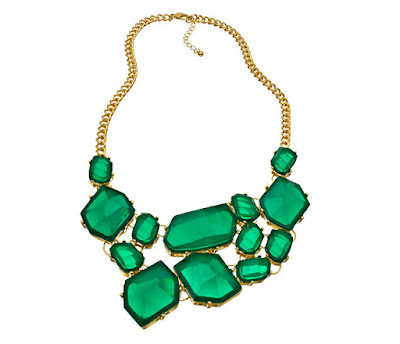 Here are five tips you can use to rock a statement necklace. 1) Abandon patterns: Whatever you do, don’t wear a statement necklace with a patterned top – they’ll clash horribly. You might want to think about using the bold piece to jazz up plainer shirts instead! 2) One at a time: Have you ever seen anyone wear a statement necklace with an eye-catching bangle? We doubt you have because this is a big faux pas in the world of fashion – stick to one statement piece at a time. 3) Think of your neckline: The key to pulling off a statement necklace is to make sure it goes with your neckline. You might want to think about pairing this larger than life jewellery with turtle-necked jumpers, off-the-shoulder numbers, or V-neck dresses – these necklines are perfect! 4) Adhere to a colour scheme: This is a cardinal rule of fashion that you should definitely apply to statement necklaces. If you’ve opted for a colour scheme for the rest of your outfit, extend it to your choice of statement necklace, so it blends seamlessly into the rest of your look. 5) Have some fun: At the end of day statement necklaces are big, bold and beautiful. The next time you wear one do a little experimenting and have some fun – you might just find a new way to work this fabulous piece into your wardrobe. If we leave you with anything, let it be that you need to wear a statement necklace with pride. If you use these tips, you’ll have everything you need to exude extreme confidence the next time you choose team this fabulous piece of jewellery with your outfit! For more like this, be sure to stay in touch with Luxe Models on Pinterest.